A small but far reaching clause in the chemical watchdog’s decision on Syria that urges all non-signatories of the Chemical Weapons Convention to join the treaty was actually proposed by Iran – and supported by the US – Russian FM Sergey Lavrov revealed. Recalling the tense round of negotiations surrounding the issue of Syria’s chemical weapons, the Russian foreign minister said that it was Iran that “offered a very sound addition.” The insider revelation into the diplomatic process of avoiding yet another armed conflict in the Middle East was shared by Sergey Lavrov in an interview with Kommersant daily. The Iranian proposal reflects Russia’s long standing belief that the Middle East should be free of weapons of mass destruction. The clause, submitted by Tehran was included in the Organisation for the Prohibition of Chemical Weapons (OPCW) decision on Friday ahead of the UNSC vote on a new Syrian resolution. “It is very important that in the Hague, when there was a vote on the decision on the role of the OPCW in implementing the program of chemical weapons destruction in Syria, a special clause was inserted urging all countries which have not yet done so to sign the convention,” Lavrov said. 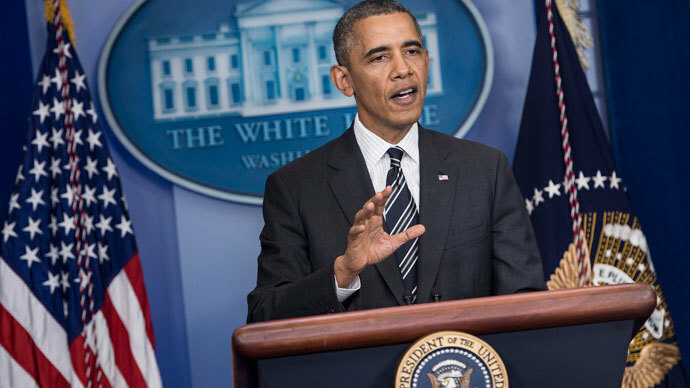 “I will reveal a little secret: this clause was introduced by Iran and supported by the United States. Iran in the past century, has twice suffered from chemical weapons. I think Iran offered a very sound addition,” the Russian foreign minister said. Lavrov added that back in Geneva, it was Russia which suggested that such a clause be included in the draft resolution submitted to the UN Security Council with the aim of establishing within the Middle East a zone free from all weapons of mass destruction and their means of delivery. Now Moscow has embarked on a special mission to make the world a chemical weapons free zone. After meeting with US President Barack Obama during the G20 summit in St. Petersburg earlier this month, Russian Presidet Vladimir Putin expressed his desire to see all the chemical weapons in the world destroyed, the Russian Foreign Minister revealed. “This key task – to do everything possible in order to neutralize, deliver to international control and then destroy chemical stockpiles that still exist in the world – was set by president [Putin] after his conversation with Barack Obama,” Lavrov told Kommersant. In the meantime, Russia will urge the Syrian government to prevent the disruption of the plan's implementation for the destruction of chemical weapons. 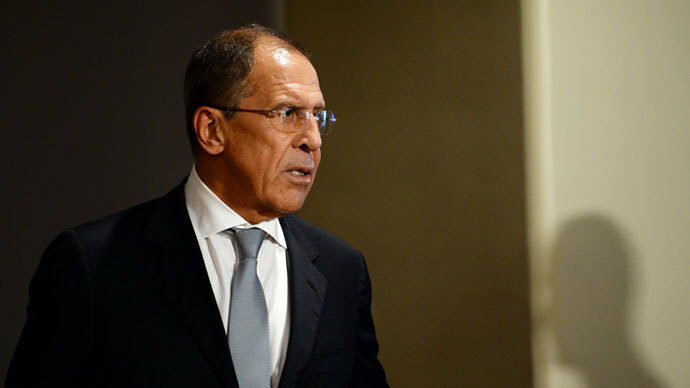 The West, Lavrov said, should send a similar signal to the opposition on the ground. Russia in turn will do everything to play a role in destroying the Syrian chemical weapons. With the new revelation about Tehran’s role in the Syrian disarmament process, Iran's intent to de-militarize the Middle East seems even more serious. 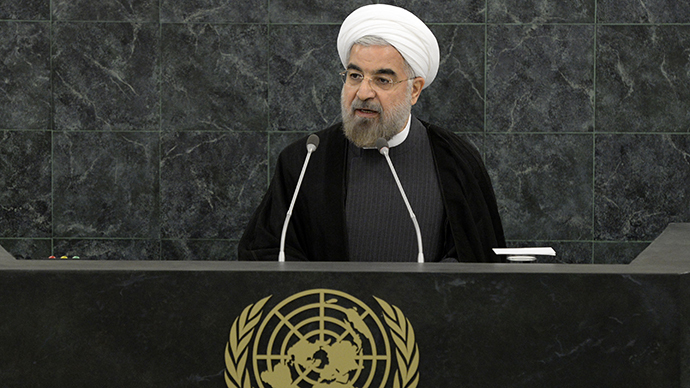 Iranian President Hassan Rouhani’s speech at the UN General Assembly was focused at promoting peace efforts in the Middle East. Besides indicating his country’s full readiness to immediately engage in result-oriented talks over its nuclear program, he also urged Israel to sign the Nuclear Non-Proliferation Treaty and called for a world disarmament conference to establish a nuclear-free zone in the Middle East. “Threatening non-nuclear states with nuclear weapons should end. 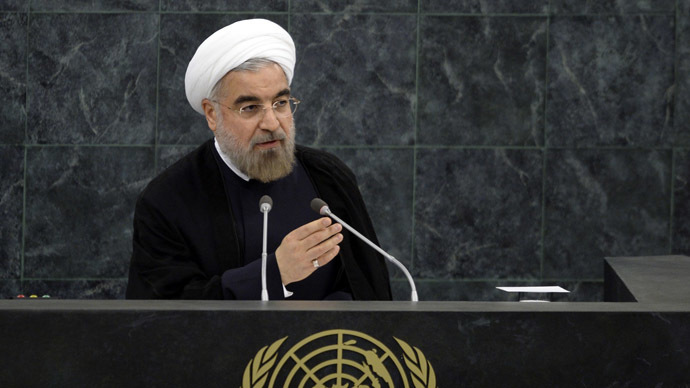 The modernization of these weapons undercuts efforts for their total abolition,” Iranian president stressed. Compared to his predecessor Mahmoud Ahmadinejad, the recently-elected Iranian leader significantly softened his tone on the country’s controversial nuclear program by agreeing to make it more transparent. 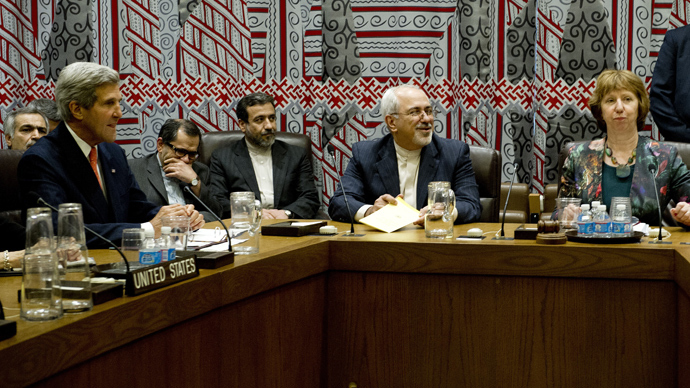 Iran is expected to present its own plan at the P5+1 nuclear talks in Geneva next month. 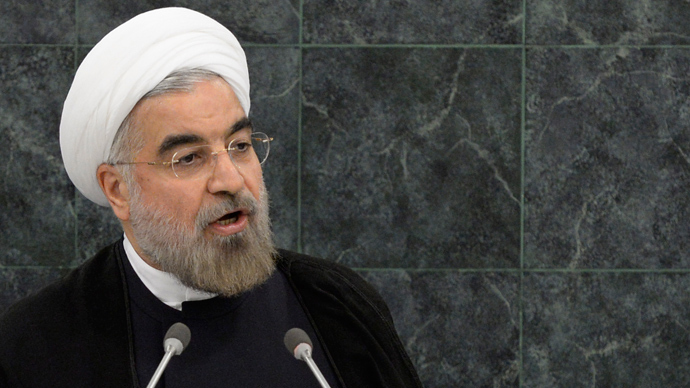 Moreover, breaking over three decades of silence between the two nations, on Friday, Rouhani had a 15-minute phone talk with President Obama during which the leaders reached a common understanding that the nuclear issue could indeed be resolved. The conversation between Roahani and Obama, as well as Tehran’s call to create a nuclear-free zone in the Middle East was not welcomed by Tel-Aviv. Israeli Prime Minister Benjamin Netanyahu is headed to the US to meet with Barack Obama on Monday to discuss the “truth” behind Iran’s recent diplomatic gains. Israel, which is estimated to have at least 80 nuclear warheads, thinks that Tehran is fooling the Western powers to continue advancing towards a nuclear weapons capability. But it seems that Israel will have a hard time convincing the US administration. US Secretary of State John Kerry, who has welcomed the new positive tone from Iran after meeting one-on-one with his Iranian counterpart on Thursday, said in his latest interview that a nuclear deal with Iran could be reached in months. “We need to have a good deal here. And a good deal means that it is absolutely accountable, failsafe in its measures to make certain this is a peaceful program,” Kerry told CBS's 60 Minutes on Sunday.